← Poison Berries, Berry Obama – Coincidence or Conspiracy? Why does Daddy want a time machine and a condom? The first Father’s Day celebration was in the Spokane YMCA on June 19, 1910. Didn’t he like the card we made? Learn more about Father’s Day here. Funny Video - Boy Caught In Shower With Douche Instead Of Shampoo! 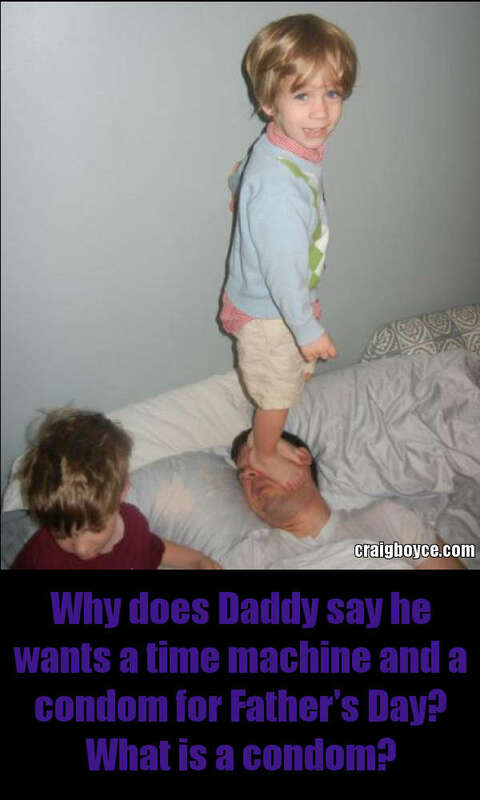 This entry was posted in WTF Pictures and tagged Boys, Father's Day, Funny by admin1. Bookmark the permalink.